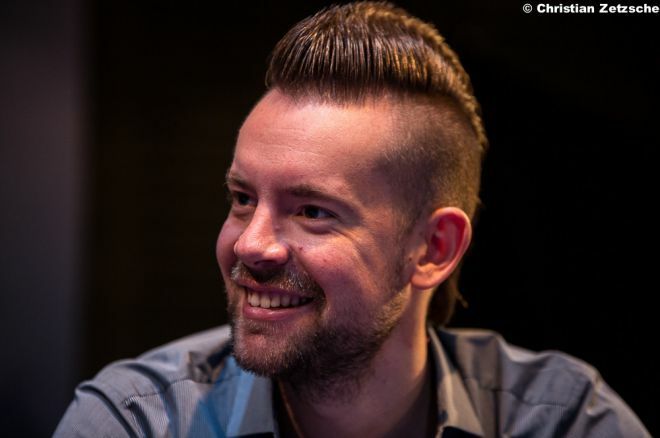 George Danzer had an amazing 2014 World Series of Poker. The German member of Team PokerStars Pro cashed in 10 WSOP events, made five final tables, earned $867,649, and won three gold bracelets. The road was long, the days were filled with massive amounts mental focus, and the competition was tough, but it all proved to be worth it as Danzer has now won the 2014 WSOP Player of the Year title. It wasn't until Day 15 of the WSOP Asia-Pacific festival that Danzer was declared the winner, thanks to an intense back-and-forth battle with Brandon Shack-Harris. The 10 events in Australia really brought the duel center stage, as three lead changes took place and the two eyed the opposition's every move. Danzer earned his third gold bracelet of the year in the eighth event of WSOP Asia-Pacific, but Shack-Harris made a run in the AU$10,000 Main Event that allowed for one more big sweat. While Shack-Harris was making his last-ditch effort for the title, Danzer had busted the AU$25,000 High Roller — the final event of the series. Needing a second-place finish or better in the Main Event, Shack-Harris fell in 17th place when his pocket jacks were cracked by Frank Kassela's . Knowing he still had a shot in the High Roller with registration still open, Shack-Harris jumped right in and got to work. Shack-Harris' run in the High Roller was much shorter than his run in the Main Event, and he needed to finish fourth or better to win Player of the Year. This bust out was also a devastating one as Shack-Harris got his money in just about as good as he could. On the flop, Shack-Harris was all in with the for trip queens. His opponent, Sean Winter, had the for an over pair, and it looked like Shack-Harris was going to double up and get some momentum. Needing to fade just one more card after the hit the turn, Shack-Harris couldn't dodge the that crashed to the felt on the river. With that, his 2014 WSOP was over, and Danzer could breathe. Although i enjoyed the sweat i am relieved now that the race is over. And i know @Oscillator_WSOP is going to get another chance. Mad props. For the victory, Danzer will earn a $10,000 seat into the 2015 WSOP Main Event, but it's the honor of becoming WSOP Player of the Year that will forever go down in history and remain priceless. Danzer's image will be displayed on a giant banner inside the walls of the Rio All-Suite Hotel and Casino during each summer and everyone will remember the absolutely amazing year he had.